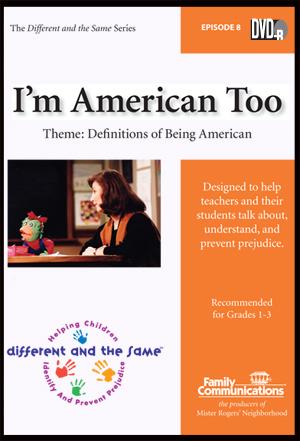 Your students will find that people can come from many different places, speak a variety of languages, look very different from one another, and still be Americans. In this episode Cat-a-lion tells Audrey that Francine isn’t American because she wasn’t born in this country. The class gets into a heated discussion about what makes a person American—being born in the U.S.? Looks? Language? Their teacher, Mrs. Sanchez, challenges them to find answers by working together on a video project. The puppets produce a video that shows the diversity of American cultures and reinforces the concept that Americans are different and the same.